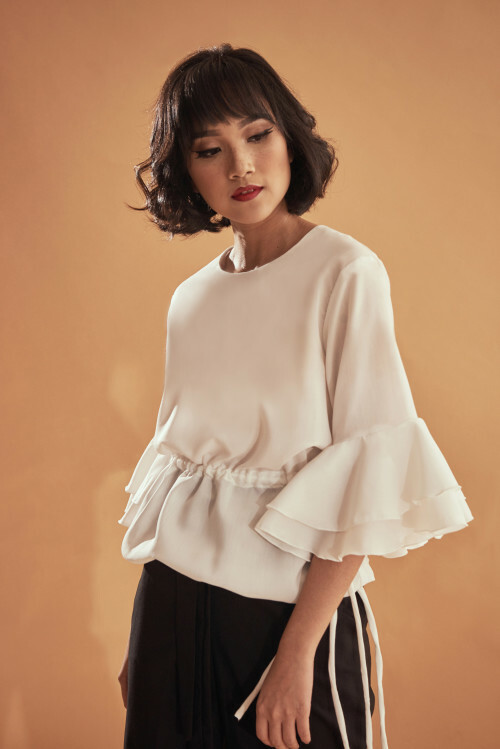 Flowing round neck blouse. 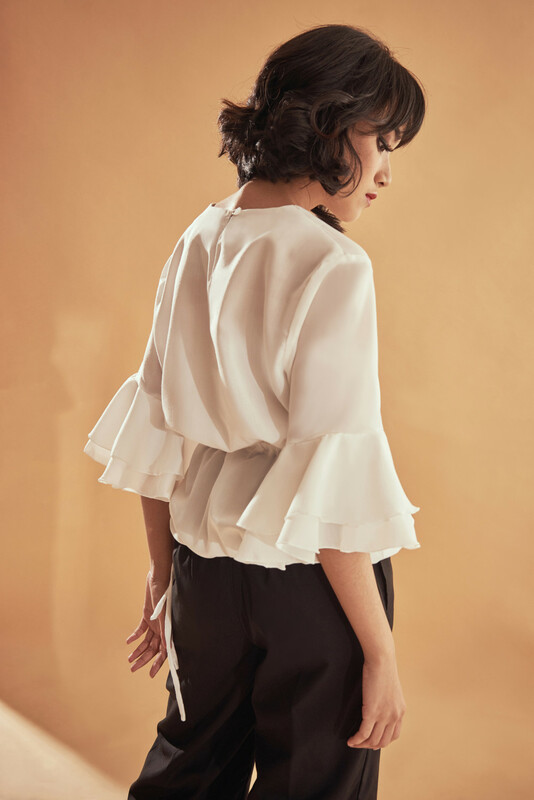 Features elbow length sleeves with frill trims and one-sided volumizing accents. Also available in Black.